VISIONARY designers and planners of "Inspired Quality" personalized custom home, interior and landscape architectural environments. We specialize in the design of WHOLE-VISION "inside-outside" new and remodeled homes, dramatic pools, intimate "outdoor rooms" and beautiful landscapes that fuse YOUR family's unique dreams into reality like no other. Our projects are WITHOUT EQUAL because we think and conceptualize, detail and solve problems in a substantially different way—from BOTH the INSIDE OUT and OUTSIDE IN— at the same time. Since 1995, our exceptionally unique partnership of building design and landscape architectural talents have exceeded our client's expectations, meet their budget challenges and sustained long-term values. OVER 22 PROFESSIONAL DESIGN AWARDS IN ALL AREAS OF HOME, LANDSCAPE & INTERIOR DESIGN. WE work hard to make the design process EASY, REWARDING and EFFICIENT for busy and smart clients that don't have the time or knowledge to communicate their dreams to multiple separate design industry professionals in endless meetings and interviews. The ORR Design Office advantage results in deeply COHESIVE living environments that FEEL DIFFERENTLY because everything inside and outside works together in quiet HARMONY. Our refined sense of artistry is enhanced by practical know-how gained from decades of direct hands-on building experience, insightful knowledge of local building codes and ordinances, informed regulatory agency approval strategies and long-term relationships with local builders, specialized vendors and talented specialty craftspersons. John Newton-Design specializes in residential architecture and design. Our clients are our number one priority and we always strive to meet their needs and exceed their expectations. We are an architectural firm based in Danville, California specializing in custom residential, commercial, public, and recreational projects. Our residential work includes new custom homes, additions, remodels, and outdoor living. Commercial work includes office, retail, tenant improvements, accessibility, mixed use, and more. We also work with developers for production residential and multi-family projects. Our custom residential work includes new homes, remodels and additions of all sizes. Increasingly, we are drawn to the challenge of such “micro-mixed use” infill projects as property values demand greater development intensity. Mountain architecture serves as a satisfying counterpoint to our urban and suburban work, with custom home and ranch projects in the Tahoe-Truckee region. The exchange of ideas, materials and detailing between our urban and mountain projects strengthens both areas of work. Licensed in California and Nevada. Wm. F. Holland brings over 30 years of experience to his thriving architectural design practice. 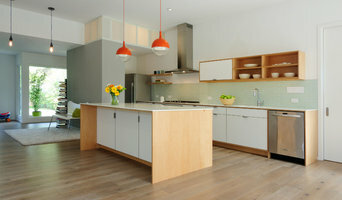 He works closely with each client, encouraging and welcoming their input to design their ideal home. Andre Pierce Architecture is a small design practice with a rich history. Building on a tradition of tailored designs marked by their superior material and spatial qualities, we carry forward the work of Gordon Pierce's 60 year practice, starting with his career as a project architect during the founding and development of Vail, Colorado. With projects in the San Francisco Bay Area and Lake Tahoe, Colorado and Rocky Mountain West, to international resort destinations, the firm offers customized architectural services for clients wishing to build a single family home or a development team planning to construct a large scale resort destination. Our design mantra is optimize rather than maximize, which leads to successful, financially viable projects - large and multi-faceted or modest in scale. We do not impose a signature style; our designs reflect each client's unique personality and vision. Our work has been featured in national publications, including a cover article in Architectural Digest, as well as in the self-published books of three of our clients who proudly documented the thoughtful integration of architecture and nature that is our founding hallmark. A good home is never done, so ask yourself: "Do you like where you live?" If so, together we can look at the many possible improvements available to you. It all begins with a conversation! Carolyn Van Lang has more than 23 years of experience in architecture. For the last 19 years, she has concentrated on high end residential projects from new homes to addition and complete remodel. We are experts at home design, space planning, and in creating timeless beauty. Our residential work includes new custom homes, additions, remodels, and outdoor living. Give us a call today! Here at Impluvium Architecture, our approach to design is that each project is unique and the completed architecture should infuse the personality and lifestyle of its occupants. We are often asked what it is that makes our firm stand apart from what is admittedly a rather crowded field. When you partner with us, the first thing you get is a local architect well known in the community, who has lived in the great city of Oakland for 18 years and has been practicing all that time. This gives us a strong base of knowledge of the local regulatory agencies, their specific and varied needs, and that knowledge is very valuable when crafting a project for review. Secondly, you get a practical designer. Daniel Swain was first a carpenter and home builder before returning to University to pursue his degree in Architecture. That experience gave him a unique perspective on the construction process that is often not found in other architects. And third, you get a designer and builder who will care for your home as you do. Value its aesthetic and spirit, hear your needs and wants for your project, and combine those elements to create best project for you, your home and your budget! Pinnacle DB, Inc was founded in 1995 as a vertically integrated organization, based in the philosophy that control over the entire process will assure consistent quality and design integration. Licensed architect with experience in residential and commercial tenant improvement. Patrick Perez is a full service design firm. With over 18 years of experience in single and multi-family residential and commercial tenant improvement throughout the Bay Area, the firm excels at providing thoughtful and creative design solutions for their clients. Contact Patrick Perez for your next project. We have the distinct ability to take your project from the beginning- help bring out your design taste, and then create exactly what you didn't know you wanted! We see every project is a new opportunity to apply our skills, expertise, and experience to guide clients through the process of dreaming, designing, building and furnishing their projects. LCA Architects has been designing custom home properties, as well as commercial projects since 1974. David Bogstad, the firm’s President, takes a client’s vision and space needs, and translates them into a home that reaches beyond their expectations. “A goal with all my clients,” says David, “is to give them something better than what they possibly dreamed of.” Bogstad begins this process with his own passion for classical architecture and in in-depth grounding in design history in traditional styles. Fond of the classic building proportions established by Andrea Palladio in the Renaissance, he has a sharp eye for crafting estates on a human scale, creating a comfortable, livable space. LCA Architects has been providing award winning planning and design services to public and private clients around the globe for over 40 years. We pride ourselves on taking a comprehensive approach to whatever challenge is presented, streamlining otherwise complicated processes with our experienced staff of experts. With over 30 employees, we are well qualified to handle a wide variety of projects. Our ability to provide specialists from within our firm in areas such as Cal Green and LEED, commercial interiors and entitlements adds to our strength and helps us be an even greater resource to our clients. I have no particular style that I work in. I think any style done well will be timeless and show well for many years to come. My philosophy is it is your house and should reflect your taste not mine. Synergy Design Development is a full service residential architecture firm that will help you from concept through construction administration. We do all of our work in 3D and generate all of our drawings for city permits using the 3D models. This is particularly helpful for our clients because they are able to have a significantly higher level of understanding regarding all aspects of the project. This also provides a greater level of understanding for the contractor and results in more accurate pricing for the client. Architecture by Tara is a full service architecture firm focused on designing space that reflect the beauty and needs of its inhabitants. Rigorous attention to detail, through each phase of the project, allows Dencity to create work that we believe will satisfy our most discerning clients and ourselves. How do I find the best Alamo architect for my home design project? It is best to hire a home architect who will be involved in all phases of the design process, from the initial concept to the completed construction. The architect is often the first person you will hire for your project. If necessary, they might also help you select and hire California subcontractors, which can include the builders, engineers and landscaper. Interior architects are also involved in negotiating contracts for all involved participants. It is for these reasons that it is extremely important for you to have a good relationship with the Alamo residential architect you hire. He or she can be the tie-breaking vote between you and the general contractor and can be your biggest advocate during the construction process. 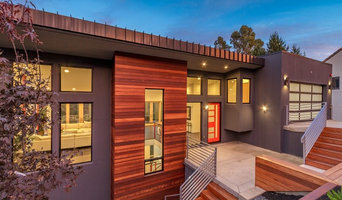 Different architecture firms in Alamo, CA provide different services, so the scope of the work can span from pre-design environmental impact studies to selecting furniture and finishes, depending on what your specific needs are. It is very important to hire the right professional for the job. Remember that the most well-known or established designer might not provide the best architectural services for your needs. It all comes down to the individual project. Research and ask people whose work you like for recommendations. It's important to have somewhat of an idea of the style of house architecture that you prefer, as well as the amount you would like to spend. Residential architects in Alamo, CA are natural problem solvers. They will assess the entire situation and help you to solve your problems too. Don't settle for a single company too early. Call and interview a few. Make sure that you feel like your personalities will mesh well and that you like their professional perspective. 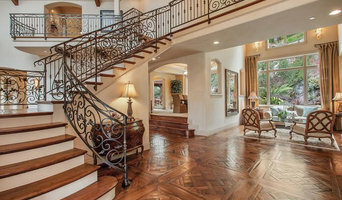 Find a home architect in Alamo, CA on Houzz. Narrow your search in the Professionals section of the website to Alamo architects. You may also look through photos of California projects to find interior architects and building designers who have worked on a project similar to yours.